The Plaka is the modern name for an older section of Athens located just north and northeast of the Acropolis. Among its maze of streets are a number of monuments and excavations have been conducted in its western section. 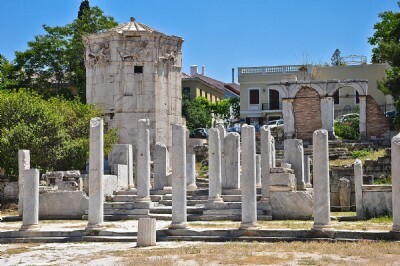 Among the monuments included in this section are the Tower of the Winds, the Roman Agora, the Library of Hadrian, and the Lysicrates Monument.